vExpert 2012 – so what next? I’m chuffed to say VMware have awarded me vExpert status for 2012 (although it’s for my contribution to the virtualization community in 2011). In a similar fashion to Microsoft’s MVP this is awarded to people who have helped the VMware community through forums, blogs, conferences, podcasts etc but is NOT a certification based on technical ability. This is where VMware’s program differs from the MVP which also counts significant technical expertise as part of the selection criteria. I was included in the Evangelist path as a blogger and yes I know there’s an official vExpert logo but this one suits my mood better right now. 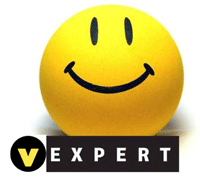 I’m a vExperienced vExpert! When I started my blog nearly two years ago I expected to be an occasional poster as I’m more of a lurker by nature but I’ve found it to be an addictive pastime.There are 436 vExpert’s worldwide this year (compared to over 4000 MVPs) and the vExpert directory (not yet updated for 2012) includes a brief description of everyone and their background. I find that having someone say ‘thanks’, which is what I consider the vExpert to be, is disproportionately rewarding. I put a lot of effort into my certification last year (VCAP, RHCSA etc) but value the vExpert recognition more highly. I hope it rounds out my CV – when graduating from college http://premier-pharmacy.com/product-category/anti-inflammatories/ employers were looking for ‘value added’ activities – team sports, running a club etc and this is how I view the vExpert. One potential downside to the vExpert award could be perception – I suspect it’s all too easy for people to perceive vExpert’s as VMware ‘fanboi”s who simply tow the corporate line and are not objective about the technology. We’ve all encountered the open source zealot and the Apple enthusiast and it’s tempting to ignore advice for fear it’s one sided. It’s important to realise that the vExpert is a two way street between ourselves and VMware – let’s hope we do our job as Geek Herders! I’m planning to cover vSphere Orchestrator, vCloud Director and maybe some Hyper-V action later in the year along with the usual smattering of Netapp and alternative storage technologies. If there’s anything you’d like me to cover, get in touch!